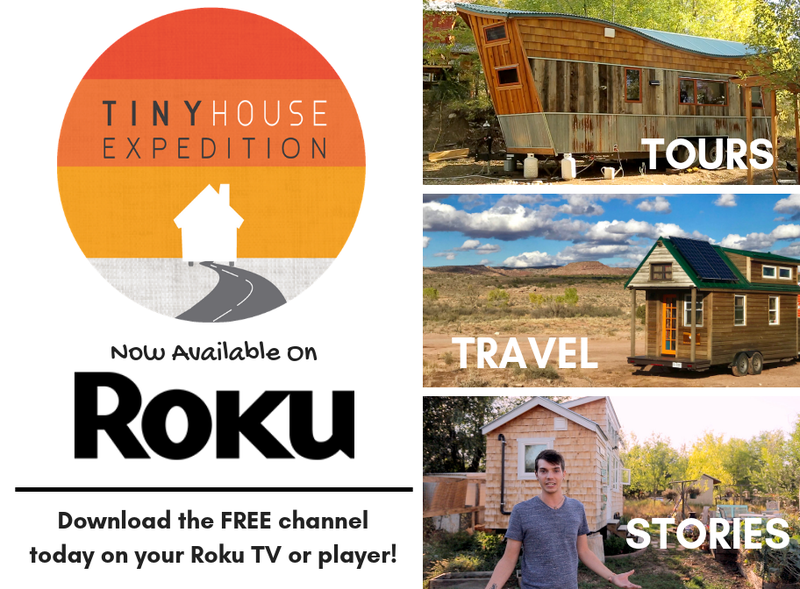 We're tiny house road trippin' again! 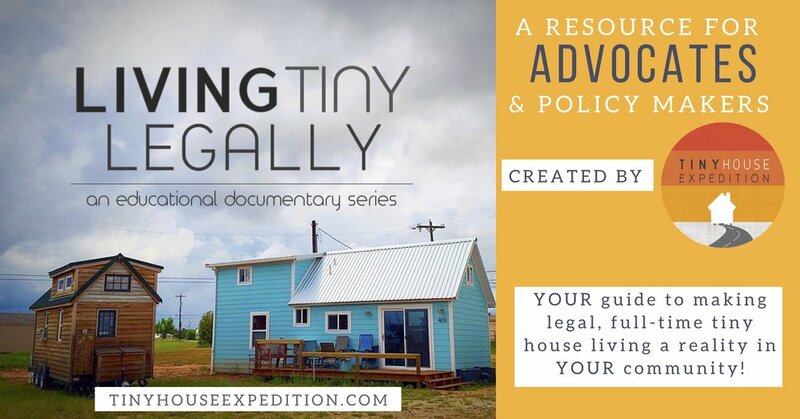 Ever wondered what it takes to prep a tiny house for travel? Highways and even side roads can be crazy bumpy. Anything not tied down or secured can and will fall, or even break. There is much to learn from RVers on simple products that can be used to keep your things in place. There are also many low-tech options available, think bungee cords. Over three years of tiny house travel, we have perfected our travel prep routine. The less we have to put away, the easier it is to hit the road and set back up in a new location. We can now be “wheels up” in 15-20 minutes. That means everything inside and out is ready for the open road. For example, we secure our bookshelf by placing boards (cut to size) on each side and then wrapping a bungee cord around the boards, hooking each end into small eyelets. And there are some things we don’t worry about, like our shoes. The number of shoes that fall depends on how bumpy the road is– a fun way to document the quality of roads in different cities. 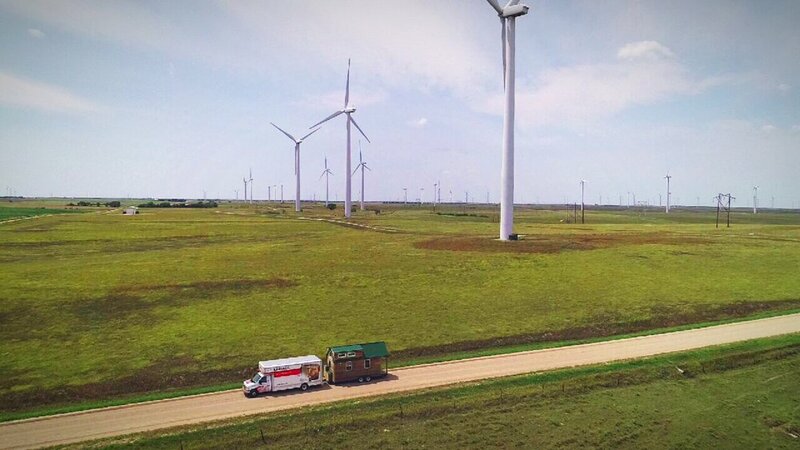 Wherever we go, we're at home, which is perfect for comfy, convenient lunch breaks at rest areas. Traveling with each other. Partners in adventure and helping manage of a traveling tiny house, from dividing & conquering our chore lists to having each others' backs. Discovering gems, like an amazing coffee shop in an itty-bitty town. Experiencing the diverse landscapes of our vast continent. We love places that feel distinct from other regions, like plains in Kansas or the Mojave desert in the southwest. Community! There is an expansive network of tiny dwellers and fellow nomads. I always like to say, Instagram is like a matchmaking service for finding new tiny home friends. 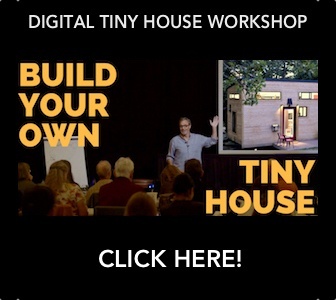 We also meet up with many at tiny house festivals and other social gatherings. Though many times we have bumped into folks at rest stops and hiking spots. More often than not, we hit it off. The result: genuine, heartfelt conversations, resource sharing, potlucks and sometimes caravanning to new destinations together. A sweet reminder that a new friend can be just a hello away. Though our shared experience of living and/or traveling tiny helps, too. With the right prep, you can travel with your tiny too!